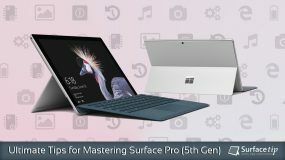 Microsoft Surface Pro lineup is the most popular 2-in-1 tablet or laptop that doing great in both worlds with an incredible performance, detachable keyboard, adjustable kickstand, best-in-class digital pen, and more. It’s a great device for digital artists, students, and professional users who looking for a very capable yet portable form factor. 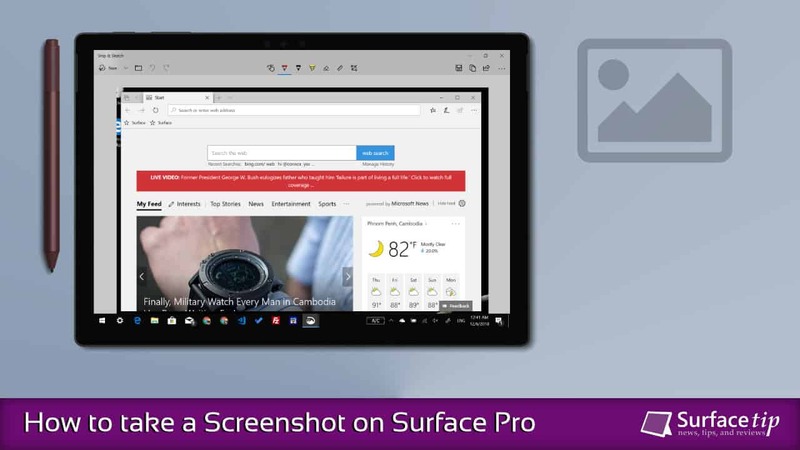 If you’ve just switched from other laptops, you might experience some difficulties to take a screenshot on Surface Pro especially while in the tablet mode. In fact, Microsoft Surface Pro with Windows 10 installed, has many ways to do more than just taking a screenshot. Read on to find out what is the best way for you. While you hold down the Power button, press and release the Volume Up button on the side of the device. The screen will dim and back to bright again to let you know, a screenshot is recorded. Note All screenshots you took with this method, will be saved in a folder named Screenshots under Pictures library. If you have a Surface Type Cover attached, you can follow the traditional ways to take screenshots by using the dedicated PrtSn (Print Screen) key on the keyboard. To do so. 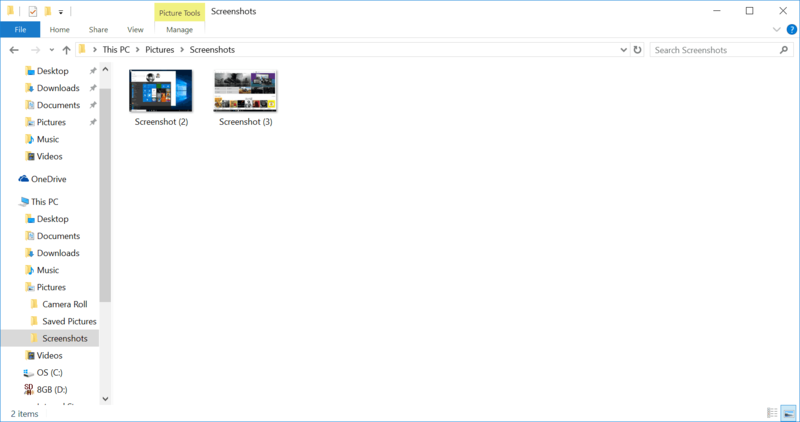 Option 1: Capturing all entire screens and store in the Windows Clipboard. Press PrtSn key to taking a screenshot. Paste to your preferred programs like Paint or Word. Option 2: Capturing just the active window and store in the Windows Clipboard. Press Alt + PrtSn key to taking a screenshot of the active window. Surface Pen has been developed and getting much better functions in Windows 10. In Windows 10 anniversary update, there is a new feature called Screen sketch. This function will capture the device’s screen and pop up with tools for drawing, cropping, and others. 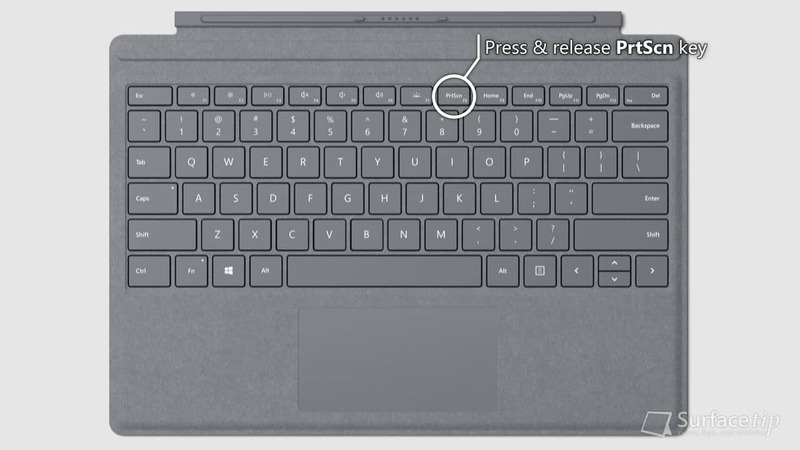 Double-click the eraser button on the top of your Surface Pen. Now you can edit, crop, and save the screenshot by click on the “Save as” button on top right of the screen. 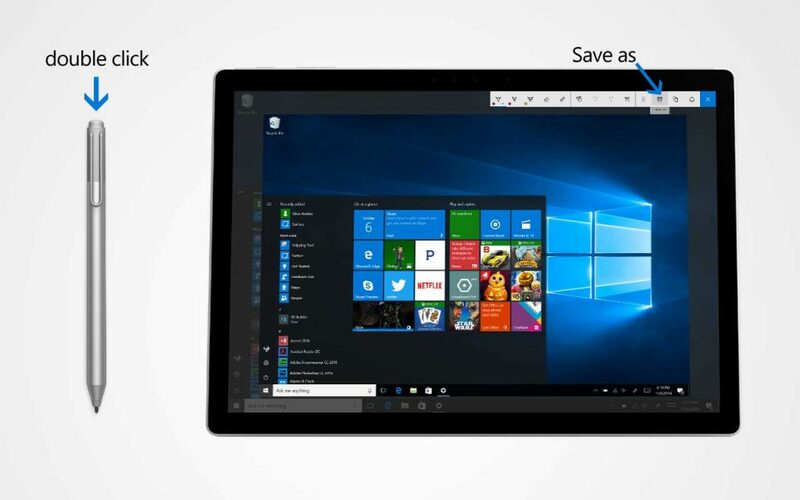 Open the Start menu and type “Snipping Tool”, or you can type into Cortana textbox directly. You can also open this tool by opening the Start menu and locate the Snipping Tool under Windows Accessories folder. When you launched the tool, you can take a screenshot in 4 ways such as Full desktop, specific program windows, any size of rectangle shape, and any form you draw manually. After you select an area you want to take a screenshot, it will display in a new window. You can draw or highlight on the screenshot before saving them. This tool allows you to save the screenshot as a JPEG, PNG, GIF, or HTML file as your desire. Open the Start menu and type “Snip & Sketch”, or you can type into Cortana textbox directly. 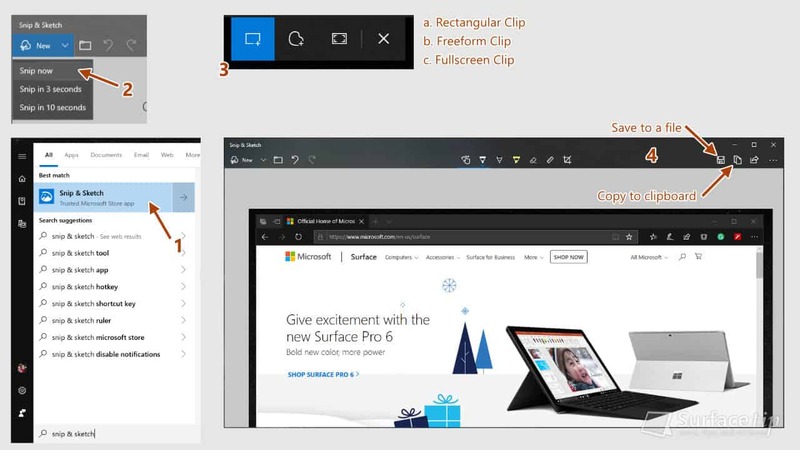 You can also open this tool by opening the Start menu and locate the Snip & Sketch app. When the tool launched, click New, and click Snip now. Select an area you want to capture. The captured image will appear in a new Snip & Sketch window. At this point, you can annotate, draw, or highlight whatever you want on the screenshot. Click Save icon to save the screenshot to a file. Or click Copy icon to copy the screenshot to Windows clipboard so you can paste it elsewhere. On your keyboard, press and hold Windows key & Shift key and then press and release the S key. It will launch the Snip & Sketch tool with the screen clipping mode, so you can select and capture any area you want immediately. Now you can annotate, draw, or highlight the screenshot within the tool. 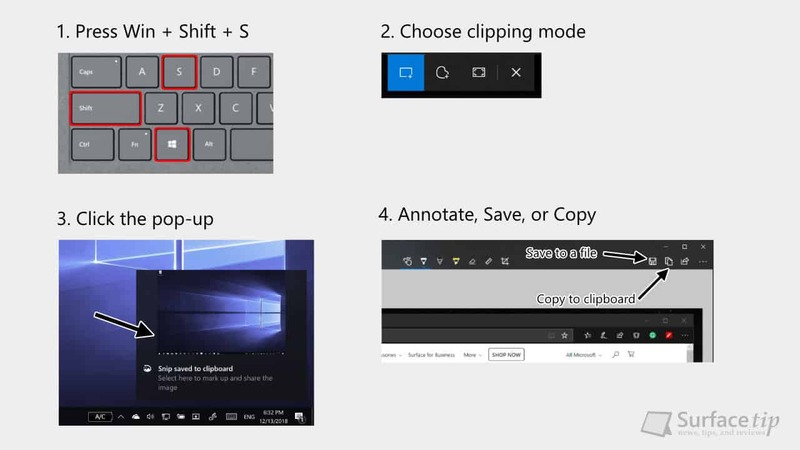 Those are the six quick and easy ways to take a screenshot on your Surface Pro. What is your favorite one? Or do you have any other ways? Share with us in the comment section below. 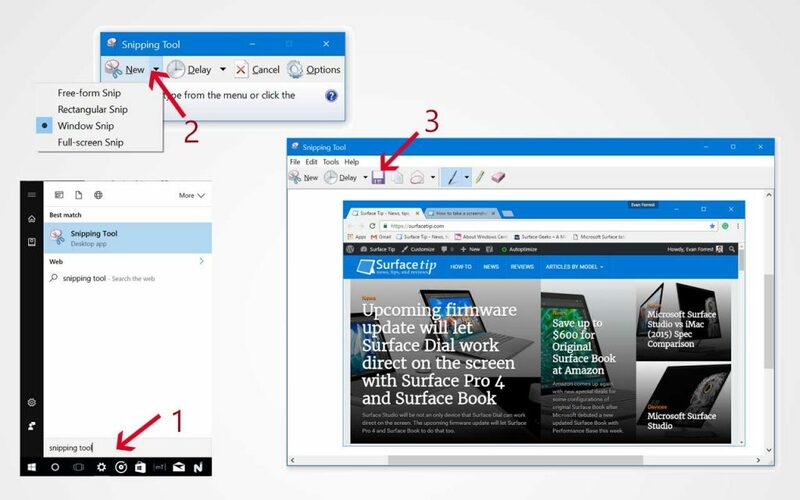 We appreciate hearing your thoughts, questions, and ideas about “The 6 easy ways to take a screenshot on Surface Pro”. Please post respectful comments and on topic. We will be replying back to you as soon as possible. 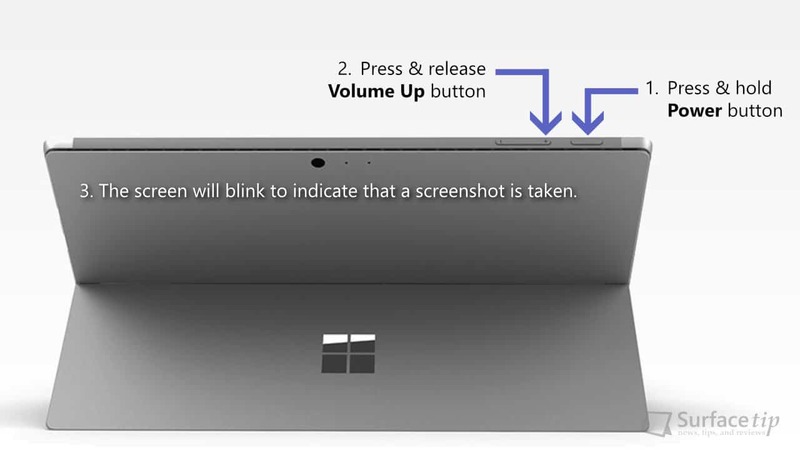 Share your idea about "The 6 easy ways to take a screenshot on Surface Pro".